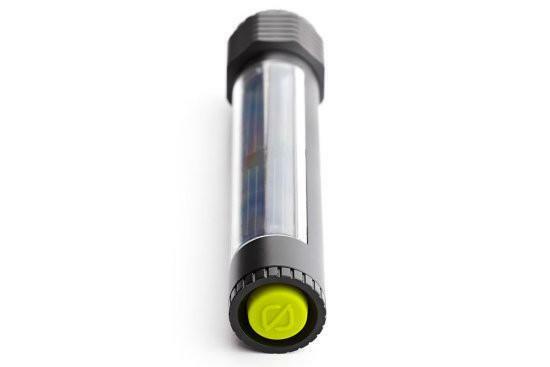 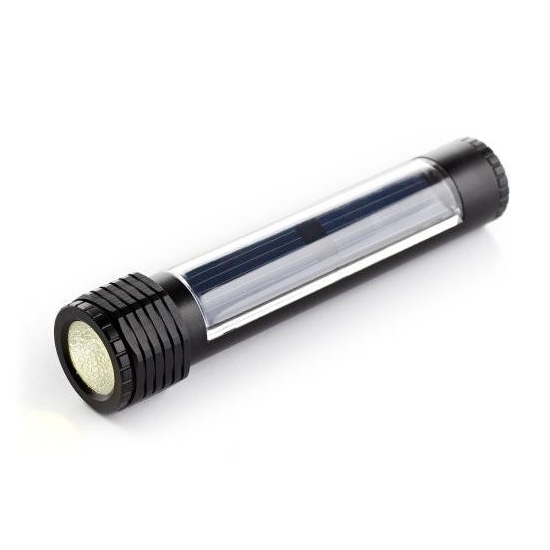 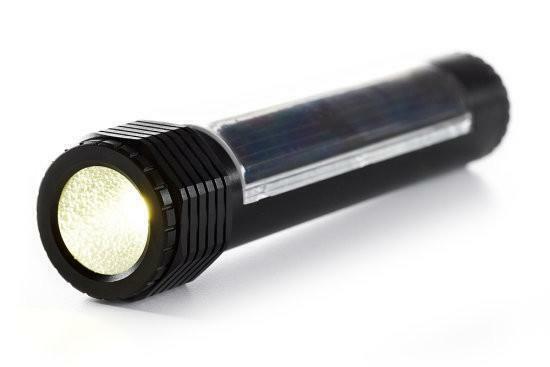 Goal Zero Solo LED Flashlight is a compact LED Flashlight that can be recharged using the built-in solar panel. Solid machined aluminum body for added strength. 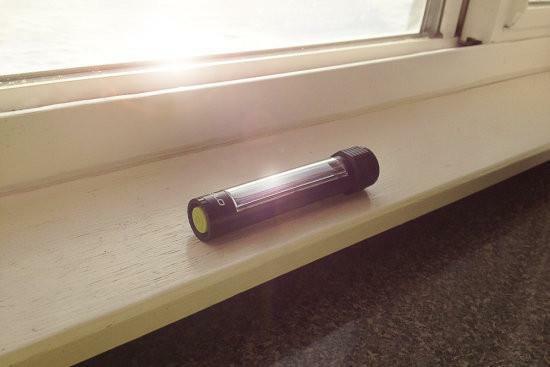 Weather ready.